I adore this little friendship card. 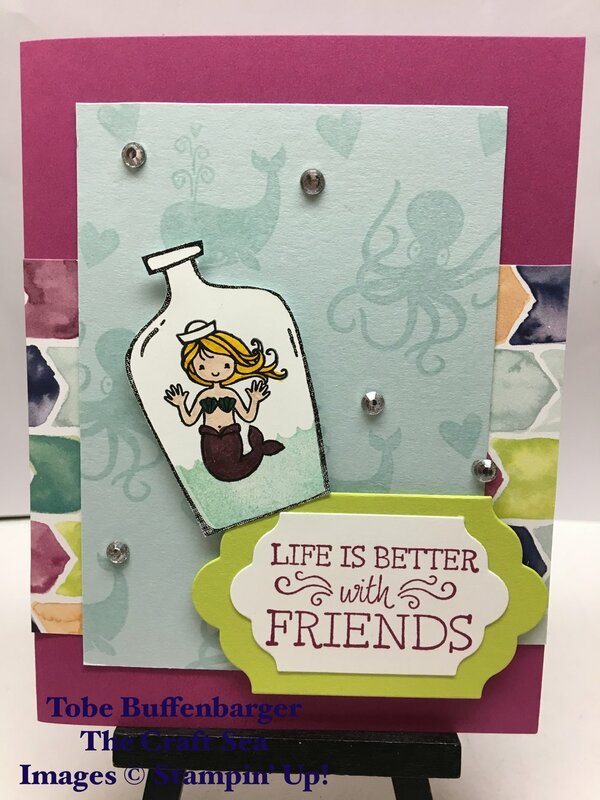 I knew Message in a Bottle would be one of my favorite stamps and this card really highlights the fun you can create. I stamped a piece of background paper using the tone-on-tone technique. From there I stamped the bottle and mermaid separately, colored her, and cut it out. A piece of DSP and a cute framed sentiment just about finished the card. The scattered rhinestones were the perfect last bit.